Computers form the backbone of our society today. While developed countries are nearing automation in every imaginable sector, developing countries are fast catching up. The demand for knowledge and practical skills in computer science will only increase with the passage of time. There are also a wide variety of specializations in this field, and thus there is something for everyone. Ironically enough, the computer revolution has also changed the way education is provided and received. Today, there are so many new ways of learning which were quite unimaginable even thirty years ago. Computers have made it possible to bring close to realization the dream of free education for everyone. Today, it is possible for a student to learn at his own pace and manage his time better. Earlier, education used to be the privilege of a select few who could dedicate the time and resources consistently. Now, education can be provided by some of the most prestigious universities in world to students in any corner of the globe. 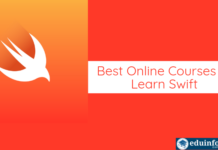 There are several online learning platforms like Udemy, Coursera, MIT Open Course Ware etc. which fulfill these needs. Keeping this in mind, today we focus on some online computer science courses. 3. Resources available to the student – study materials, after course updates, interaction with teachers/fellow students. Harvard Extension School – Intensive Introduction to Computer Science Open Learning Course. The course is completely free and delivery is online based. It is offered as a series of lecture videos, which were recorded at the Harvard School of Engineering and Applied Sciences. 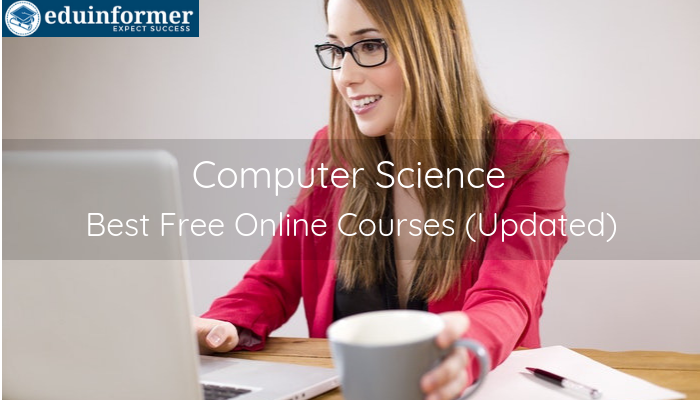 The course begins with the introduction to computer science, and then covers a wide array of allied topics such as algorithms, software development, computer architecture and real world applications. A trailer is included for the student’s benefit. The teacher is a professor of Harvard University, and has received several awards for excellence. It is designed for students who like to proceed at their own pace. This helps to juggle work and education priorities. The course targets an audience with zero prior knowledge of computer science. By simplifying complex concepts, the course enables a more practical approach. The requirements from student’s side are minimal – a computer/laptop, a web browser and an internet connection. As a bonus, the basics of coding are covered. The teacher is a Stanford University professor. 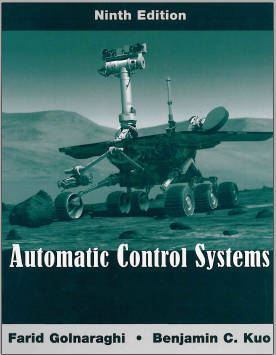 One of the top fifty courses offered by MIT. It is an online course and completely free. The student needs to devote 14-16 hours per week for nine weeks. It is not a self paced course. 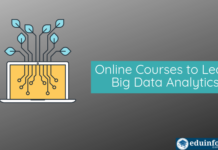 The course consists of two parts – Introduction to Computer Science and Programming Using Python followed by Introduction to Computational Thinking and Data Science. The USP is the focus on teaching complete newcomers how to think and use this knowledge to put together unique solutions to problems. The student is taught how to use a computer to get maximum benefit. There is excellent emphasis on practical application. The course offers and excellent exposure to many different topics in computer science and their applications. The breadth of this course is remarkable. The student must dedicate twelve weeks. The course is self paced. The USP is using Python programming language to build web applications such as social networks, search engines and browser. The emphasis is more on web based content. This is a beginner level course, and an intermediate level course follows this one. The focus is on problem solving using computer science concepts. Students are provided a lot of exposure to specialized fields like software engineering so that they can make their own choices about future career paths. It is an online based course. The student can take the course at his/her own pace. The course will cost you $11, Udemy is good at giving daily discounts to everyone. In total there are seventy three lectures spread over approximately eight hours. This course focuses on learning in depth rather than merely depth. 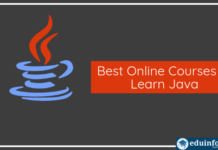 The emphasis is one learning the programming basics in a way that any programming language can be picked up and applied with ease. Coding and problem solving are covered in detail. Beginners will have no problems as the course starts with fundamentals. There is a one hundred percent thirty day money back guarantee. This is a bestselling course and has attracted high reviews from previous students. These should be opted for only when the student has an already strong base in the fundamentals of computer science. Some courses will also require a strong base in programming, physics, advanced mathematics or statistics, coding and even robotics. Students should satisfy themselves as to the prerequisites before applying for any course. Also, some courses, most notably on Coursera, offer financial aid. Students should check if they are eligible for such aid and take advantage of the same.